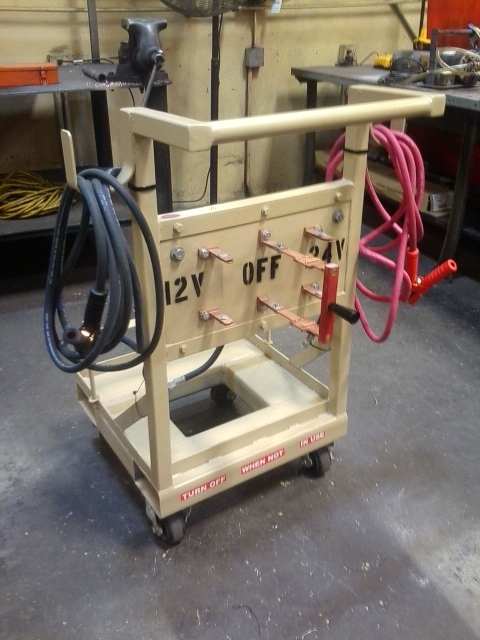 This portable battery jumper cart is designed to hold two 12 volt deep cycle batteries. When you have a dead battery in a piece of equipment, simply roll this jumper cart, or forklift this jumper cart over and jump start that dead battery. The technical drawing to fabricate this jumper cart is what is for sale herein.